The C-mount consists of a one-inch diameter cylinder threaded to a pitch of 1/32-in, or 32 threads per inch. 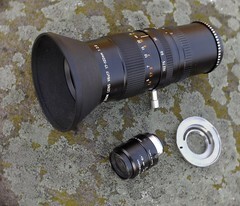 It was designed specifically for lenses used on 16mm cine cameras. 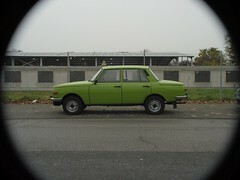 However, a small number of subminiature still cameras have been made using the same lenses, including the Schatz Sola, Optikotechna Mikronette and the Doryu pistol-shaped police cameras. The "C" designation derives from the evolution of the mount from its "A" and "B" predecessors. All shared the same thread and diameter, but had different mounting depths; the three are not interchangeable. A-mount and B-mount lenses were used primarily on Filmo cameras of Bell & Howell. The cine camera and lens maker began to feature interchangeable lenses earlier than its concurrents like Victor. Thread depths varied from maker to maker, but the proper A-B-C distinction lies not in the total thread depth but in the distance from the flange seat of the lens barrel to the innermost thread. The C-mount eventually became the standard mount for higher-quality amateur 16mm cine cameras. Some of the better quality cameras had a turret with a capacity for two or more lenses for making rapid changes in focal length. Though zoom lenses were available in the 1940's, they were very expensive and involved some optical compromises, so were not widely used until they had achieved better and more consistent quality at lower prices. After this was achieved, they eventually came to replace the turret in the 1960's, particularly in cameras for the amateur film maker. The C-mount zoom lenses became dominating when some professional and amateur video cameras with C-mount appeared. When video camera design evolved to modern camcorder design the interchangeable lenses vanished, but a few C-mount lenses are still produced for the market of surveillance cameras and industrial process control cameras. Cine cameras were often equipped with superb C-mount optics made by renowned lens makers like Kern, Taylor-Hobson, Dallmeyer, Meyer, Angénieux, Elgeet, Berthiot, and Schneider. Wollensak and Kodak also made some fine cine lenses. Video camera C-mount lenses were made for example by Canon and Fuji. 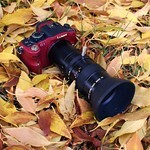 Survey lens makers and industry lens makers are Fujian, Rainbow, Computar, Tamron and Pentax (Cosmicar brand). In this century, people have begun to experiment with C-mount lenses on digital (still) cameras, a trend boosted by the launch of the Micro Four Thirds (µ4/3) cameras which have an appropriate flange/sensor distance to allow adaption of the 16mm cine lenses. 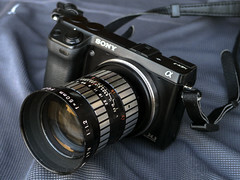 Similar new CSC lens mounts which followed like the Sony NEX, Nikon CX, Pentax Q or EOS M mounts allow C-mount lens adaption too. 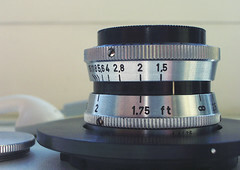 Lens adaptors are widely available except for Samsung's mount. Some think the older uncoated lenses may be more satisfactory for bokeh experiments, but a cheap "TV lens" for survey cameras may surprise positively too. Zoom lenses made for C-mount are a bit bulky and heavy but may be attractive for videographers who use for example a Panasonic Lumix GH µ4/3 camera since many C-mount zoomers are much faster than the original CSC zoom lenses. 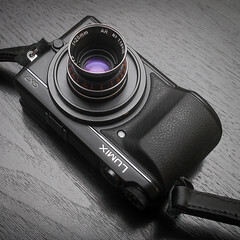 Meanwhile, the image circle of many lenses is unlikely to cover the entire area of the image sensor without serious vignetting since 16mm frame size is smaller than a µ4/3 sensor. 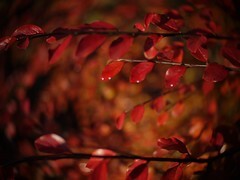 Especially wide-angle C-mount lenses covering the whole sensor are very rare. 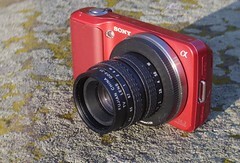 The C-mount enthusiast will have to crop many images and videos shot with C-mount lens. 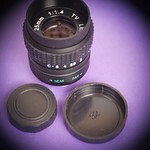 An issue may be the lens' back when it is longer than its C-mount thread. 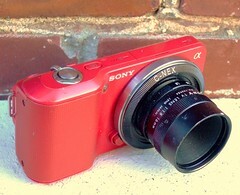 For example Sony TV-lenses or Rainbow industrial process control lenses might not fit in µ4/3 cameras. Another issue are survey camera lenses for the similar CS-mount which are made for a shorter flange/sensor distance and smaller image size. 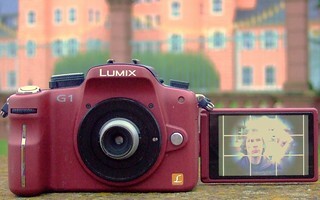 On C-mount they can make only macro images which must be cropped.